This article from a 1970 issue of Popular Electronics is a timely mate to the monthly list of career-related resources I posted today since it discusses jobs in electronics not necessarily at the degreed engineer level. Along with both diploma and certificate programs by local colleges, home study courses in electronics have been around since the early part of the last century. Cleveland Institute of Electronics (CIE) began offering courses by mail in 1934, and has been running advertisements in trade and technology magazines for as long as I can remember. It is still in business today. The phenomenal pace at which electronics has developed in the last few years - and the ever-increasing complexity of the technology - have precipitated an unprecedented demand for engineering level electronics technicians. In the aerospace and communications industries, in sophisticated computer centers, and in scientific and medical electronics - all areas where the most lucrative job opportunities exist - training on the level of the radio-TV repairman is no longer sufficient. Technicians in these job situations are actually associate or assistant engineers; and it takes engineering training on the college level to get these jobs - something you can now do with home study. "General acceptance of correspondence study as a legitimate technique has been developing for years. Recently, however, the growth of that acceptance has been phenomenal. Hundreds of private companies are using home study to enable their employees to do a better job. Colleges and universities are becoming more willing to give formal credit on the basis of personal interviews and qualifying examinations. "No study of correspondence education has shown it to be appreciably inferior to classroom instruction, while a number of studies have shown correspondence students do measurably better on examinations." If you can't take the time or haven't the money to spend for two to four years of college what do you do? Do you know that four nationally accredited home study schools are now offering engineering courses on the college level? If you have the prerequisites, two years or less of leisure-time home study could put you well on your way toward one of these engineering technician positions. The college-level courses offered by home-study schools have gained wide-spread approval in industrial and educational circles. In most cases, the student receives an industry recognized diploma upon completion of one of the courses. One home study school offers the opportunity of earning a degree. 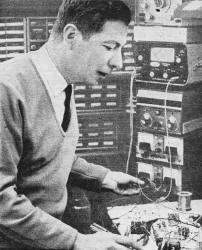 Home study courses in electronics actually started in the 1920's. The earliest courses were highly specialized, tending to focus on certain areas in a technology which was then only in its infancy. Gradually, coverage was expanded and today's home study engineering courses are as up-to-date and cover as much ground (in the technology) as those offered in many technical colleges. Schools accredited by the National Home Study Council* and offering engineering programs are: Capitol Radio Engineering Institute (CREI), 3224 Sixteenth St., NW, Washington, D.C. 20010; Cleveland Institute of Electronics (CIE), 1776 East 17 St., Cleveland, Ohio 44114; Grantham School of Engineering (GSE), 1505 North Western Ave., Hollywood, Calif. 90027; and National Technical Schools (NTS), 4000 S. Figueroa St., Los Angeles, Calif. 90037. The entire technical work force in electronics can be divided into two broad, but not necessarily well defined, categories: technicians and engineers. Technician in this sense refers to the person who operates, maintains, troubleshoots, and repairs electronic gear. Engineer refers to the designer of new devices, circuits, and systems. Between the two categories lies a growing force of engineering technicians (sometimes referred to as associate engineers). The engineering technician's duties and responsibilities overlap both categories. Engineering technicians usually work directly with scientists and engineers with degrees. They analyze and solve engineering problems and occasionally prepare technical reports. Consequently, the engineering technician must have a thorough grasp of the scientific principles of his particular field and a good understanding of mathematics and physics. Generally, to be entitled to the title of associate engineer, the person is expected to be a graduate of a two-year college. However, the growing recognition of home study by the industry does entitle the home study graduate to apply to his name the title of engineering technician. Prerequisites for engineering level home study courses are obviously high. The applicant must be a high school graduate (or possess a high school equivalency certificate) and have studied, or had previous job experience in, the electronics industry. Applicants without the electronics prerequisite but who have a firm grasp of theoretical and practical physics and intermediate mathematics are good potential candidates. There are very practical reasons for setting these high prerequisites. 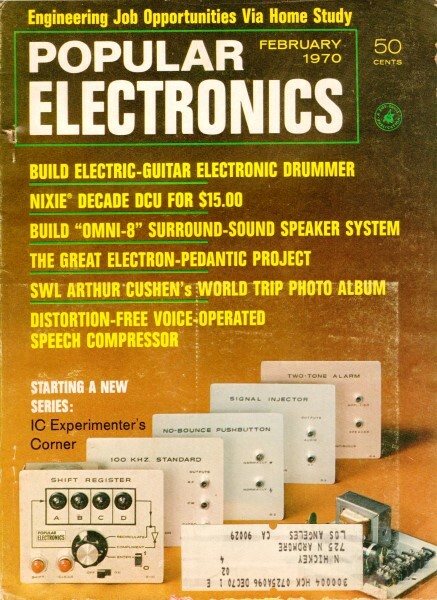 The courses provide studies only in electronics theory; there are no gimmicky training kits or home-built TV receivers. The schools sense that no engineering level home study course can possibly provide the exposure to all the test equipment, circuits, and systems required for a full resident laboratory course. Since home study programs feature low cost, this is a sound principle and the study programs have been adjusted accordingly. Thus, even though home study engineering courses have no costly kits and training aids, nothing has been sacrificed in the quality of educational materials provided. Such items as tube and transistor manuals, special textbooks, and slide rules are included in the basic. tuition. The home study concept of education is geared for individual attention. Each lesson is written to provide maximum clarity. But even the clearest written text might confuse some students. So, all of the schools maintain a full-time consultation service, staffed with engineers and educators who are experts in home study problems, to which the student can turn for help. This service is available even after graduation. Textbooks are broken up into bite-size lessons for easy assimilation and to allow the student to pace his progress. Within each lesson are answer-keyed questions that are designed quickly and immediately to check the student's comprehension of the material covered. At the end of each lesson is an exam which must be completed and sent to the school. All questions asked are of the thought-provoking essay type. At the school, the student's exams are reviewed and graded by professionals. In grading the exams, several things are looked for: The correct answer, of course, is one, but more important are the techniques used in answering math questions and the method of presentation. If an incorrect method or answer is given, the person grading the exam will supply corrective hints that show where the student went wrong, and refer him to the page or section in the lesson that should be reviewed. When the student is through with his course, he must complete a comprehensive examination that touches on every area studied. The end-of-course exams are usually proctored (taken in the presence of a qualified person). Then upon passing the comprehensive exam, a diploma, which is the school's statement of the student's competence, is awarded. "Many people are now realizing that everyone can't go to· college; and, more important, many individuals should definitely not seek a college education. Home study is an ideal alternative - not a substitute, but an excellent opportunity to obtain specialized education quickly, effectively, and economically. "At CIE, we have some 775 industrial and commercial clients, and this roster is growing daily." An interesting item that appeared in the August 1969 Supplement of the "National Home Study Council News" under the heading "Recent Research Developments in Correspondence" cites a further example of the effectiveness of home study training: "In representative examples of correspondence students at the University of Minnesota, every twentieth card in the current student card file was selected to give a 5% sample... In terms of grade points, students in correspondence study rated higher than those in day school, evening school, or in summer sessions. Only in the Graduate School was the average higher." Angelo Vaccaro came to the U.S. from Italy 15 years ago and went to work as a machinist. When he enrolled in CREI in 1953, he could hardly speak English, and he gives the lessons credit for helping him learn the language. Today he is Vice President of Columbia Controls Research Corporation in Glen Cove, N.Y. He holds in his name or in the name of the company 15 patents for devices such as an electronic scanner, an electronic tensioning control device, and a reader for a computer system. Some of these devices have been sold or licensed, and negotiations are under way for others. Although David J. Chestnut is not a "typical" graduate of home study electronics engineering, his story does show how far a person with initiative can go. Mr. Chestnut began his CREI studies in 1932 and is now Managing Editor of Technical Communications of Raytheon Company's Wayland Laboratories in Massachusetts. In his ten years with Raytheon, he has supervised many areas of technical communications, including cinematography and in-plant engineering writing seminars. Since his CREI studies, Mr., or rather, Dr. Chestnut has added B. Mus., M. Ed .and Ph. D. titles to his name, has had several papers published, and has been a prominent speaker on the subject of technical publications in this country and abroad - an impressive number of achievements by any yardstick. 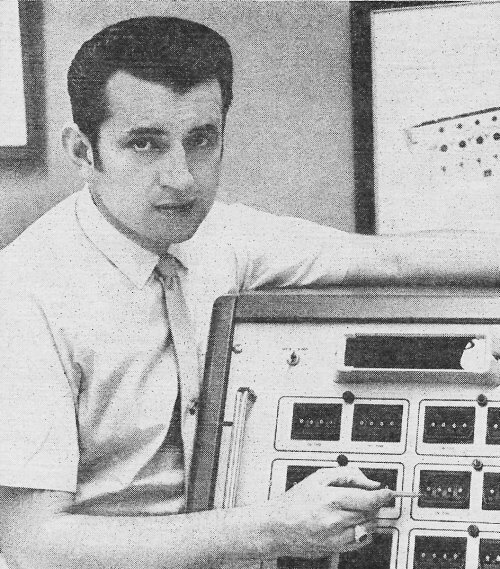 Joseph W. Pieczynski enrolled at CREI in 1963 and is currently manager of the EPC Division of Artisan Electronics Corporation in Parsippany, N.J. The EPC Division was formed by the acquisition of Electronics Products Corporation, of which Mr. Pieczynski was founder and president. Among his achievements is the patent he holds for a self powered timer. 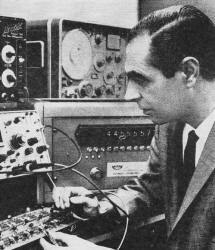 He also received honorable mention in the 1963 Gustav Johanson Awards for his contribution to timer technology. 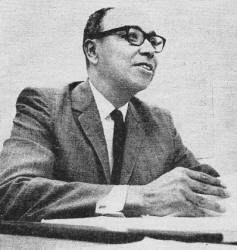 Maurice T. Swinnen graduated from CREI in 1962 shortly after he arrived in the U.S. from Belgium. Not long after graduation, he joined the Division of Neuropsychiatry at Walter Reed Army Medical Center in Washington, D.C. Starting at Walter Reed as an equipment repairman, Mr. Swinnen rapidly rose to electronics technician and, finally, to supervisor of the electronics shop facility of the Division of Neuropsychiatry. He is in charge of seven technical support personnel, two of whom are graduate electronics engineers. He has contributed well over 100 technical reports about the instruments he has devised during the past seven years and more than 20 publications have appeared under his name in both medical research and electronics journals. He is often called upon to attend the various technical and medical conventions around the country - to learn as well as to teach. "Our home study degree program is relatively new, but already quite a few firms and agencies are paying tuition in this program for their employees. And many others are reimbursing their employees who complete correspondence 'semesters.' Some of the firms and agencies who have paid tuition directly to the School are: Naval Ordnance Station of Indian Head, Md. ; the WDL, E&TS, and C&TS Divisions of Philco-Ford; Sprague Electric Co.; Consolidated-Bathurst, Ltd., of Canada; ESSA Research Labs; and NASA Flight Research Center, Edwards, Calif."
Although basically similar, the exact content of the home study engineering courses offered by the various schools varies. At CREI, the master, or principal, course on the college-engineering level is the Electronic Engineering Technology Base Program with Major Electives. It has two objectives: to provide a broad basic foundation in electronics and to equip you with specialized knowledge in a particular field of your choice. The Base Program covers the theory and application of advanced electronics in relation to circuits, components, and systems. The electives in which you can specialize include: Communications; Aeronautics and Navigation; Television; Computers; Nuclear Instrumentation and Control; Automatic Control; Missile and Spacecraft Guidance; Radar and Sonar; and Digital Communications. CIE and NTS also offer master courses in electronics engineering. No electives are available as such, but the courses are designed to prepare the student for a career in one of a wide variety of specialties in the electronics industry. Typical basic subjects include steady-state and transient network theory, solid-state physics, magnetics, etc. "It has been said that education is the mother of leadership; and by encouraging education, the National Home Study Council helps build leaders to guide America through the tests and trials of this critical and complex time ... Never has your mission been more timely or more imperative than now. Your high academic standards promise quality education to all who pursue correspondence study. I commend your distinguished and enduring service to America." - Excerpt from a telegram sent by President Nixon to the NHSC at its 1969 Annual Conference. GSE's program consists of five sections and includes an "incidental" preparation program for an FCC First Class Radiotelephone License with Radar Endorsement. Emphasis is on mathematics and physics (as it is in all home study courses). The course sections are: Basic Electronics with Mathematics; Communications Circuits and Systems; Engineering Mathematics and Computers; Classical and Modern Physics, and Technical Writing; and Engineering Calculus, Electrical Networks, and Solid-State Circuit Design. "Recognition of home study programs in direct conjunction with college-level education is distinctly on an upward swing. As an indication that industry does accept home study graduates, our own experience has been that major firms throughout the world have sought and value our graduates. "Data involving motivational research has proven that self-directed independent study is more effective than resident training. One obvious reason for this is that the home study student must research his own material as sent by the school without someone at his side. While he is guided, supplied with accurate and tested study material, and counseled as needed, he is not spoon-fed information, nor is he held back in a class of students with a variety of achievement skills." A very important benefit of these courses for those students who plan to go on to college to earn their associate and bachelor degrees in electronics engineering is that many colleges allow considerable advance-standing credit for material covered (depending on the college and the results of tests). In addition, Grantham has oriented its program toward the obtaining of a degree. After completing his home studies, the student attends a two-week resident class at the school, for which he earns an Associate in Science in Electronics Engineering (ASEE) degree. * The Accrediting Commission of the National Home Study Council has been approved by the U.S. Office of Education as a "nationally recognized accrediting agency." Its purpose is to establish educational, ethical, and business standards; examine and evaluate private home study schools in terms of these standards; and accredit (only) those schools which qualify.